As an internationally respected research institution, Purdue University is committed to doing more than innovate. We strive to create value through the commercialization of new technologies. Our defining reason to move innovations to society is to help people live longer, healthier, happier lives. An important avenue for achieving this goal is through the research, development and commercialization of Purdue innovations — something the University already has a long, successful history in accomplishing. In fact, Purdue discoveries are used in more than 100 countries and benefit millions of people around the world. Moving an innovation through the commercialization process is no easy task. It involves an understanding of patent laws, license negotiations, startup routes, fund resources and many other activities. 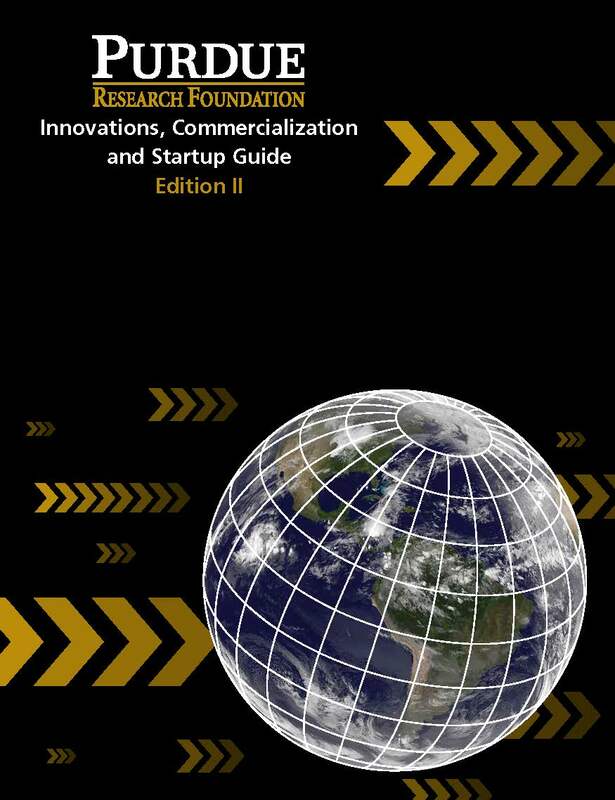 This handbook, developed by Purdue Research Foundation, Office of Technology Commercialization and Purdue Foundry, is designed to ease the commercialization and startup process by providing a high-level overview and guide for Purdue innovators and entrepreneurs. While not providing all the answers, this handbook will provide you with the basic knowledge about moving innovations to the market through licensing and startup creation. It also will drive you to the professionals in the Purdue Office of Technology Commercialization and the Purdue Foundry, where you can receive expert assistance in protecting your intellectual property and commercializing your innovation through various available channels. We encourage you to become an active participant in Purdue's entrepreneurial environment and invite you to contact us to answer additional questions and assist you through the commercialization and startup process. The Purdue Research Foundation Innovations, Commercialization and Startup Guide is available for Purdue and WestGate@Crane.